For a lot of women, the anticipation of working with an excellent personal trainer is pretty exciting. They can experience expert coaching, a customized program, no guesswork, and most importantly, they can have the support they needed every set and reps they do successfully. But the truth is a lot of women don’t have time or money to spend to hire a personal coach. Fortunately, a lot of modern trainers are now offering online services through video chats, emails, online training platforms, and even social media platforms like Facebook, YouTube, or Instagram. Other trainers are also organizing online fitness challenges, together with other fitness experts. There’s a big chance that you might be following at least one good fitness expert on Facebook, Instagram or YouTube right now. The question is, “Is it essential to double tap just to get fit?” The answer is, it depends. Some trainers work with women one-on-one in person, there are also trainers that do online coaching, and there’s some who do both. Working out twice or thrice a week in a gym and having a customized online program at the same time. Every woman has different needs and wants when it comes to their fitness regimen, depending on their personality or their physical capabilities. Some workout regimen might work for one woman, and might now work for the next one. To find out the right fit for you, and you need to take the virtual route (you can check fitness websites like Caliber Fitness and fitness sites that offers online services), you need to consider these simple questions. One of the most significant selling points for online trainers is perhaps the cost of the service. An average trainer can charge at around $60 to $100 for one hour of a face-to-face training session, whereas if you get an online program for six to eight hours, an online trainer can charge from $100 to $200 depending on the quality of the trainer. Either way, working out using online fitness programs, hiring someone who can plan your customized fitness workout for you to execute on your own, is more cost-effective than hiring a personal trainer. There are also online group fitness challenges that range from free to $100 every month. How many instructors do you need? When your trainer is working out in the gym with you, checking every angle of your work-out and giving you advice or feedbacks, that’s the kind of instructions you can’t get from online fitness training. 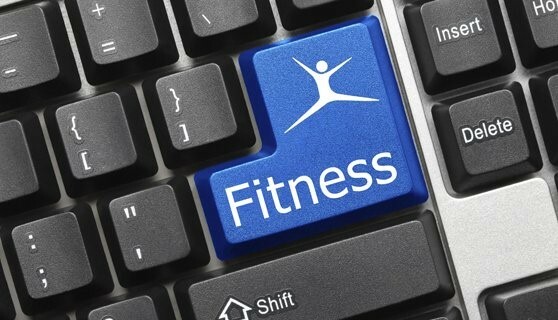 Online fitness training is better for women who have some experience working out in the gym. If you are new to exercising, experts advise people to go to a gym with a friend and record every angle of your work-out. It will help your trainer recognize any part of your body that needs to improve and figure out what kind of fitness routine you need to improve your body. What’s more, there are a lot of online training videos that share instructional exercises to help you do safe and effective fitness techniques. Some online fitness instructors do an excellent job of telling their clients what to do from a distance. Make sure that you hire the best online fitness instructor who checks and cares in your progress, and tweaks your fitness program based on what your body needs as the program go. Group fitness challenges allow women to do the work-out with less supervision. Fitness challenges cannot do a customized fitness program. So, while the program offers the best progression and modifications, other exercises are not suited for certain women, that is why they have to skip the training. It will also not allow a direct supervision from trainers while you work out. Making sure that you get the most efficient and the best work out possible, is almost impossible. With that said, A lot of women have enough workout experience to feel confident in doing complex exercises on their own, and honestly, they do not want a trainer continually watching every move or exercise that they do. For women spending a lot of money on the exercise program that they see is not essential, is unnecessary. It means that every workout, women are doing should have a positive effect on them or else they won’t be paying for that.